The word is out. It’s going down! 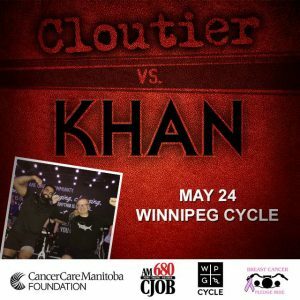 A spin off is happening at WPG Cycle. Wednesday May 24th at Noon two teams will face off in the spin room. One, led by newsman Richard Cloutier from CJOB. The other, led by purveyor of cold pressed juices and delicious Middle Eastern food* Obby Khan. The teams aren’t riding against one another though, they’re riding together for Cancer Care. The face off will celebrate how much each team raises for the 16th annual Breast Cancer Pledge Ride. 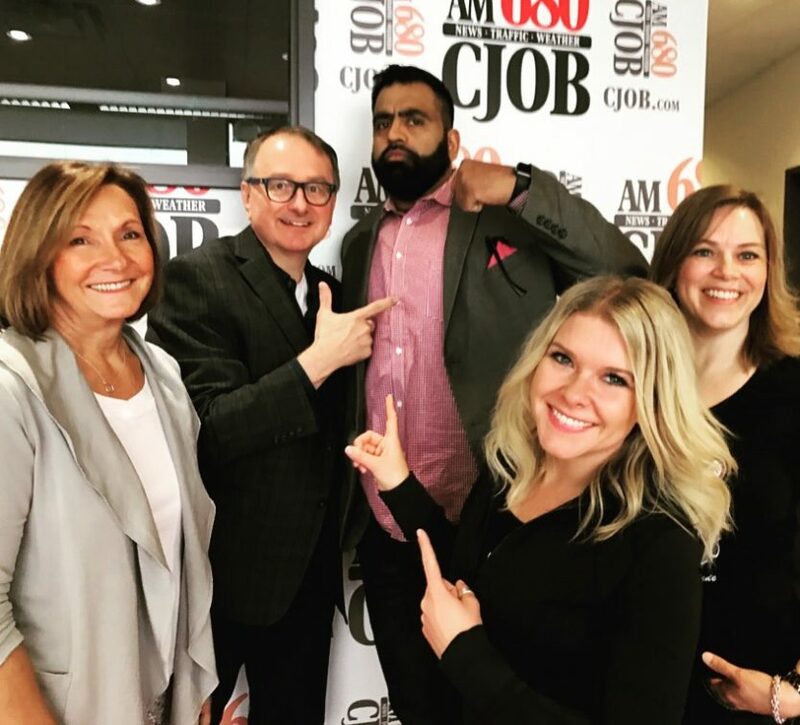 The Breast Cancer Pledge Ride is a annual pledge-driven motorcycle ride that starts at The Assiniboia Downs and goes north to Winnipeg Beach. To date the ride has raised almost a million dollars for the Cancer Care Manitoba Foundation and has had a direct impact on local patients, survivors and loved ones. So who do you think will bring the fire? 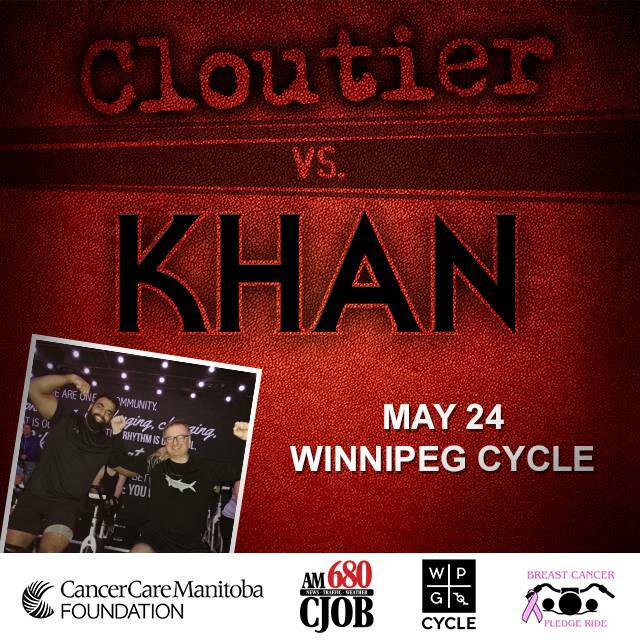 Donate to Cloutier or Donate to Kahn? Come cheer them on or ride alongside – limited spaces available. *Obby owns Green Carrot Juice Co. and Shawarma Khan.